To search for information on Internet we all rely on Google to help us out. All we do is ‘Google it’ i.e. type in the words for what we are looking for. And the relevant pages are displayed. But how many of us go beyond that first page? Not many. So then how do you beat your competitors and get on the first page of Google? Are there any magic tricks to achieve this? Here are some tips not tricks to achieve the goal of being on the first page of Google search. First and foremost is about the content on the website. If you tick all the yes boxes for this then you have high chances to reach on the top. In short, content is the king when it comes to being searched on Google. Not only the relevancy of your content but its originality too would matter. If you are simply copy pasting from other sites Google is going to see red. There is a possibility that you could be ranked down and even being banned if you are lifting contents from other sites. To enhance your chances to be on the first page add visual appeal to your content. You can do this by adding appropriate images. And don’t forget to label these images. It certainly would help in popping up when typing in those search words. Keywords are words used for search engine optimization or SEO. Google uses certain keywords which allows the website to be displayed when these words are keyed in. You can use Google AdSense and see what are the keywords related to your business. The use of keywords in your articles, on your website, or blog would help in the search process. But do not overdo the use of keywords. It can be jarring. It can also lead to Google lowering your rank. And don’t just have a website with only keywords which could lead you to being banned from various search engines. Other ways to reach that first page goal on Google is to have a domain name which is related to your business. For example if you are in golf equipment business, make sure the word ‘golf’ is there in your domain name. Further, the pages on your site also should have subdomain name. Avoid using page numbers rather use something like https://www.designtec.co.uk/?p=our.team. We have heard this many times and it is simply a reflection of the times we live in. Be active on social media. Get as many likes as possible. And provide a link to your site. You can also do cross business with similar businesses. With their permission you can provide a link to your website on their site and vice-versa. This way you are increasing your visibility and traffic to your site. There are companies who can also help in brining the website on the first page on Google. 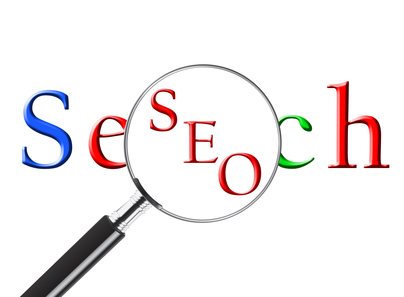 Search Engine Optimization or SEO is the way a website’s visibility appears on the search engine. There are many SEOs across the globe that can help businesses with how they appear on search engines. SEOs take various parameters into consideration including but not limited to the type of business, event, whether it is local or national or international and what is the target audience. For businesses in Norwich, you can work with local SEOs in Norwich who can help you with getting on that first page on Google irrespective of whether you are targeting the local population in Norwich or you are aiming at targeting global customers. Contact Designtec for a free consultation.